This new deluxe eBook edition features more than eighty additional pages of exclusive, author-approved annotations throughout the text, which contain new illustrations and photographs, to enrich your reading experience. You can access the eBook annotations with a simple click or tap on your eReader via the convenient links. Access them as you read the novel or as supplemental material after finishing the entire story. There is also Random House Reader’s Circle bonus content, which is sure to inspire discussion at book clubs everywhere. 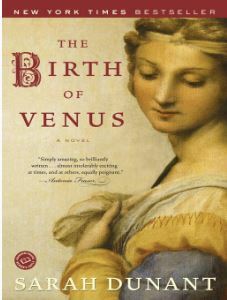 Alessandra Cecchi is not quite fifteen when her father, a prosperous cloth merchant, brings a young painter back from northern Europe to decorate the chapel walls in the family’s Florence palazzo. A child of the Renaissance with a precocious mind and a talent for drawing, Alessandra is intoxicated by the artist’s abilities. But Alessandra’s parents have made plans for their daughter, and she is soon married off to a wealthy, much older man. Meanwhile, the reign of the Medicis, with their love of luxury, learning, and dazzling art, is being threatened by the hellfire preaching and increasing brutality of the fundamentalist monk Savonarola and his reactionary followers. As the city shudders with violence and change, Alessandra must find her own way–and finally explore the passions she’s kept so long at bay. An award-winning writer rescues seven first-rate twentieth-century women artists from oblivion–their lives fascinating, their artwork a revelation. Who hasn’t wondered where-aside from Georgia O’Keeffe and Frida Kahlo-all the women artists are? In many art books, they’ve been marginalized with cold efficiency, summarily dismissed in the captions of group photographs with the phrase “identity unknown” while each male is named. Donna Seaman brings to dazzling life seven of these forgotten artists, among the best of their day: Gertrude Abercrombie, with her dark, surreal paintings and friendships with Dizzy Gillespie and Sonny Rollins; Bay Area self-portraitist Joan Brown; Ree Morton, with her witty, oddly beautiful constructions; Loïs Mailou Jones of the Harlem Renaissance; Lenore Tawney, who combined weaving and sculpture when art and craft were considered mutually exclusive; Christina Ramberg, whose unsettling works drew on pop culture and advertising; and Louise Nevelson, an art-world superstar in her heyday but omitted from recent surveys of her era. These women fought to be treated the same as male artists, to be judged by their work, not their gender or appearance. In brilliant, compassionate prose, Seaman reveals what drove them, how they worked, and how they were perceived by others in a world where women were subjects-not makers-of art. 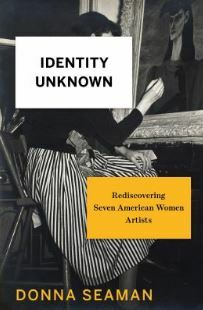 Featuring stunning examples of the artists’ work, Identity Unknown speaks to all women about their neglected place in history and the challenges they face to be taken as seriously as men no matter what their chosen field-and to all men interested in women’s lives.